Artworks on public display, as "material witness" of civil and cultural growth for future generations, should be in top conditions and remain unchanged over time. However, over time they (I would remove) undergo a deterioration, albeit slow: the paintings fade, paper, wood and fabrics are prone to be attacked by fungi and bacteria, and so on. In general, one can say that the materials that make up the painting are subject to processes that alter their original condition, undermining their integrity; of course, this is closely related to the thermohygrometric conditions and air quality present in environments where these objects are kept. Environmental comfort is also a fundamental requirement to allow people a full sensory perception of the works of art. Temperatures and humidity levels that are excessively high or low, along with the presence of odours and volatile pollutants, disturb the visitor who cannot enjoy a full emotional experience. Maintaining the inner and outer structural characteristiscs of the exhibition / museum space, as well as the aforementioned problems, require an ad-hoc air conditioning system, which is both modular and efficient and able to guarantee the same microclimate conditions even in the presence of an extreme difference in the number of visitors. Jonix and HiRef have developed an innovative accurate air conditioning and sanitising system able to control the temperature and the humidity level as well as reduce pollutants and odours. Additionaly, thanks to its devices, Jonix is able to ensure the prevention of deterioration mechanisms of the works due to environmental pollution, both chemical and biological, coming from outside and brought inside by the flow of visitors; morevoer, it can guarantee the visitor maximum hygiene by building a sanitisation system for audio guides after each use. Environmental comfort is an essential requirement to allow people a full sensory perception of the works of art. During the exhibition dedicated to Impressionism by Zandomeneghi we installed our devices to sanitise and deodorize the air and to sanitise fan coils units and audio guides. It was thus possible to guarantee the prevention of deterioration mechanisms of the works of art due to environmental pollution, both chemical and biological, coming from outside and brought inside by the flow of visitors. 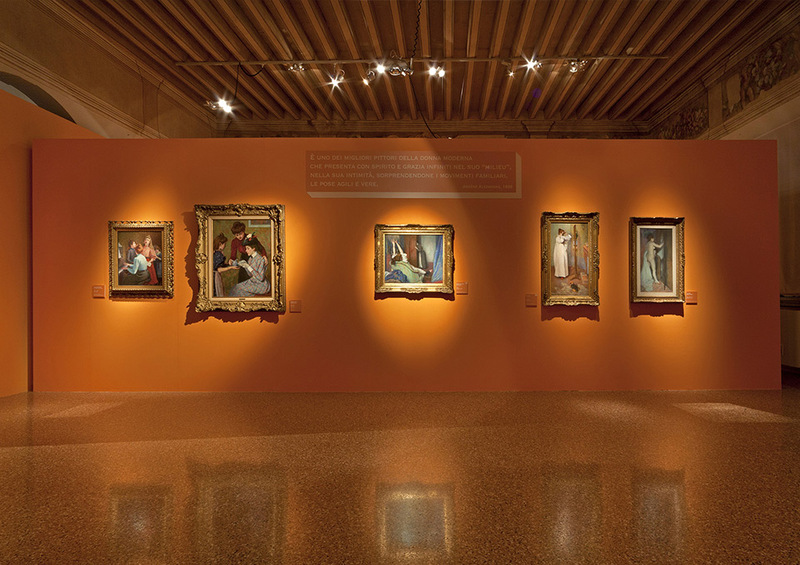 Throughout the exhibition area we included six Jonix CUBE (link to Cube), positioned in the vicinity of the paintings, to prevent excessive concentrations of potentially harmful compounds for the works and at the same time ensure the visitor air that was free from odours and bacteria. In the room on the first floor, a Jonix MATE (link to Mate and minimate) was positioned: this is a sophisticated air filtration and sanitising system that collects the airborne dusts with the aim of preventing dust from depositing on the canvases and to ensure the decontamination of pollutants . Even in situations of high visitor turnout, a software-controlled modulating ventilation system guarantees the necessary sanitisation of the environment's air volume. The fan coils of the air conditioning system are fitted with the device Jonix INSIDE (link to Inside), which ensures that the critical components inside the cabinet are continuously sanitised. The visitor was also guaranteed top hygiene standards thanks to a sanitisation system of the audio guides after each use. 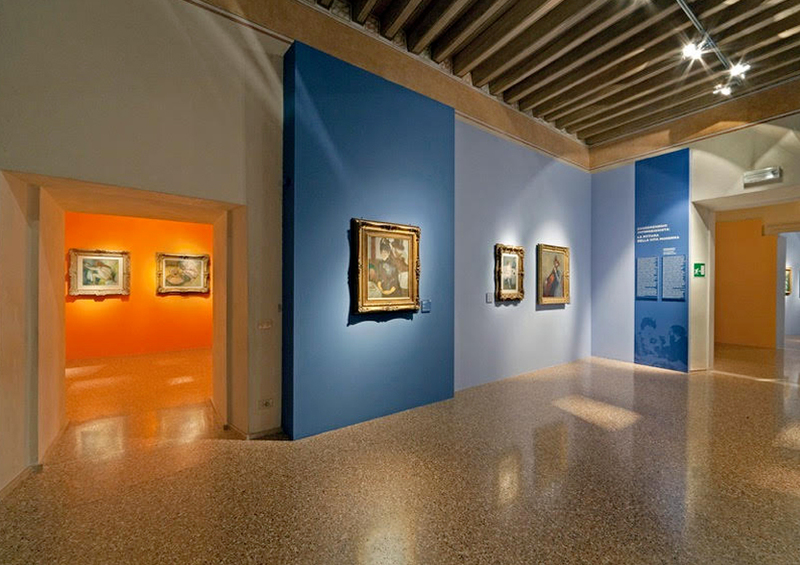 The entire exhibition area of Palazzo Zabarella became a space with a unique microclimate: protection against degradation for works of art and a deep emotional experience for the visitor. Cube to eliminate contaminants generated by people, furniture, devices and materials, preserve works of art and sanitise audio guides. For exhibition and museum spaces.